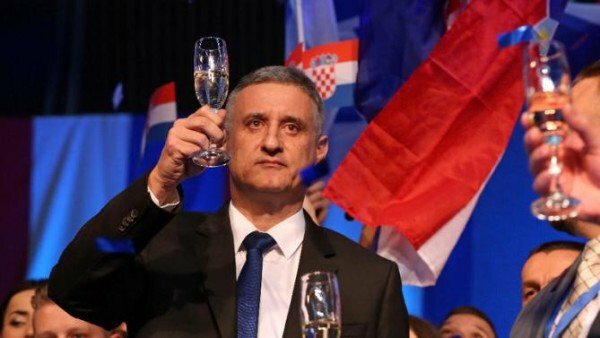 Croatian conservatives have declared victory in the country’sparliamentary elections, but face a challenge to form a government. Partial results show the HDZ party is to win about 60 seats, with more than 50 for the ruling alliance led by the Social Democrats. The conservatives are now expected to enter talks to form a coalition. Refugee crisis was one of the main issues. More than 320,000 refugees have passed through Croatia this year. “The victory brought us responsibility to lead our country, which is in a difficult situation,” HDZ leader Tomislav Karamarko told supporters. The big winner looks to be the third force in the election – an alliance of independent candidates known as Most (Bridge), which is expected to claim about 19 seats. However, Most said before the vote it would not join either main coalition. The two alliances have promised different approaches on how to handle the arrival of more refugees and migrants. Croatia has become a transit hub for refugees, many from Syria, Afghanistan and Iraq, who want to travel north. Interior Minister Ranko Ostojic said this week that 320,000 refugees had passed through the country so far this year. Croatian PM Zoran Milanovic and his Social Democrats (SDP) won approval for their compassionate handling of the refugee crisis. Tomislav Karamarko has suggested using troops and fences to reduce the number of arrivals. The election was Croatia’s first since it joined the EU in 2013.